Low mileage old cars... Sometimes it makes sense. You hit your mid-thirties, you're making a little money, you buy that sports car you've always wanted. You're not going to drive it to work and subject it door dings and scratches in the company parking lot, so it becomes a weekend car. Pretty soon though, weekends are filled with housework and kids and the car goes largely ignored. You hang on to it however, thinking that someday life will be less hectic and you'll have time to enjoy it. That someday never comes. One day you realize that you haven't pulled the cover off the car in 5 years or put any meaningful miles on it in 20. It still has break-in mileage on it. What I don't understand is this. This is a near-base 1981 Volkswagen Rabbit. It was a decent enough car in its day, but hardly exciting. It was the type of car you drove to work in order to save the sports car from parking lot dings. But, unless the owner worked across the street from his house (and drove there), that's not what this car was used for. This Rabbit L has just 8200 miles on it. That averages out to about 264 miles per year. Less than a mile a day. Was this particular Rabbit L someones dream car? Did they tuck it away waiting for the day they could really enjoy all 1.6 liters of its 4 cylinder engine? I don't get it, and the seller doesn't explain it. The Rabbit was the first European car built in North America. It was built at Volkswagen's then new plant in New Stanton Pennsylvania. 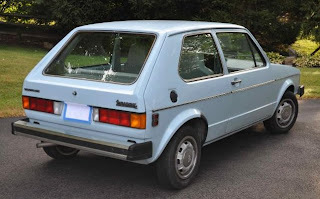 Although it was sold side by side with the old Beetle for awhile, it was, for all intents and purposes, the Beetle's replacement in VW's lineup. 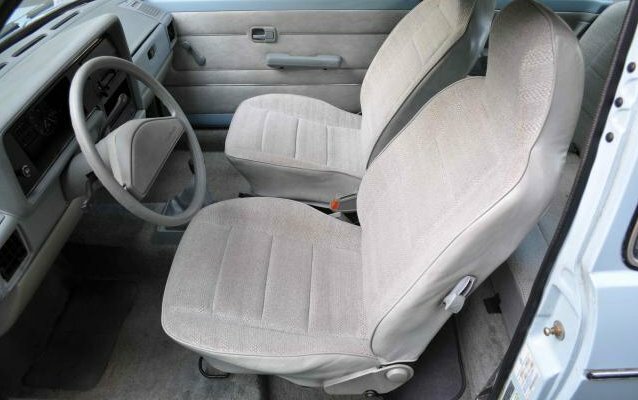 This car looks like what you'd expect an 8200 mile, 31 year old car to look like. There is a bit of age related surface rust here and there, but for the most part it looks like a new car. This is one of those cars that might be a hard sell. 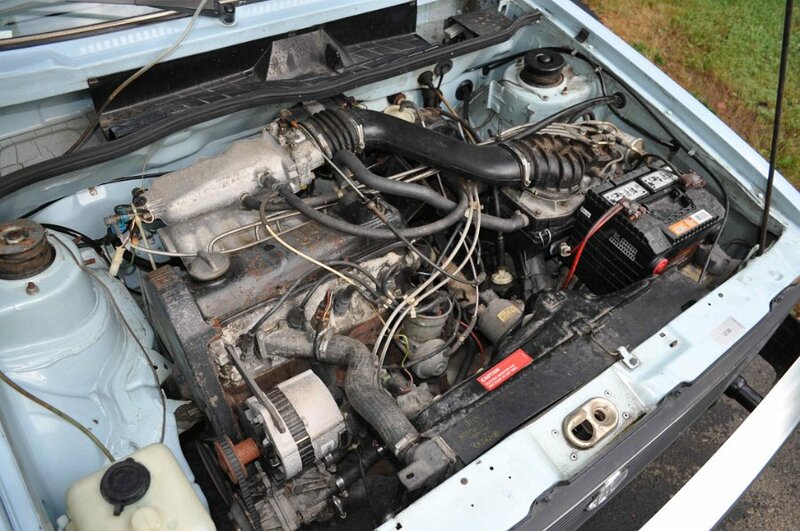 Because of its mileage, the seller is asking a premium price for it ($9,500.00 opening bid). If you buy it and drive it, its value drops dramatically. You can preserve it as a low mileage car, but, because its a pretty basic Rabbit, its value isn't going to increase much. 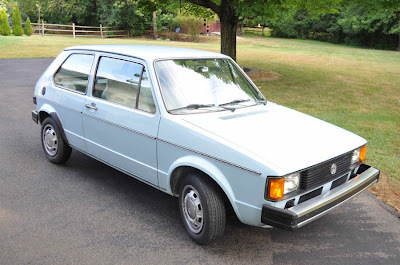 This is a car for someone who always wanted a 1981 Rabbit when they were new and is willing to take the financial hit to own one 31 years later. Or, it's for someone who wants to have the coolest, best preserved Rabbit L at any car show, anywhere. For the seller's sake, I hope there are a few of those people around. Located in Hudson, OH, click here to see the eBay listing. A big thanks to Sam for sending me the link to this car.